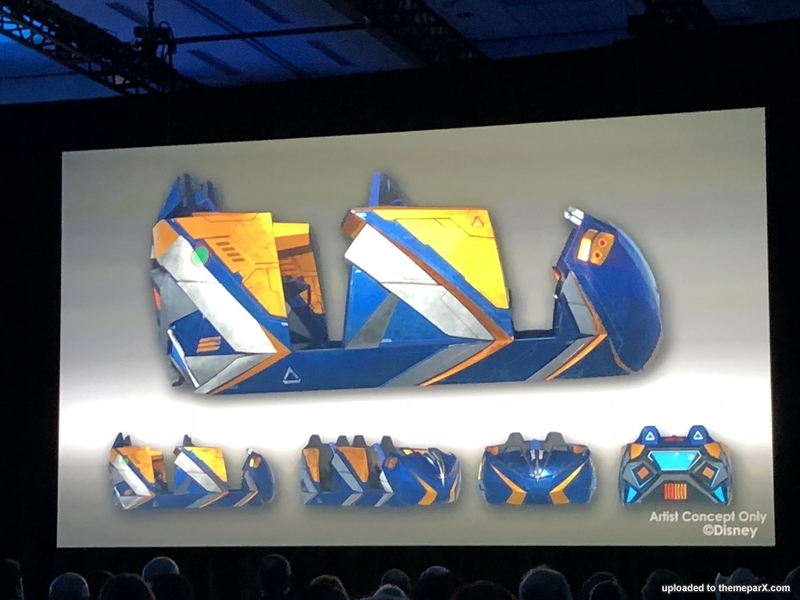 Just moments ago at the 2018 IAAPA Expo in Orlando Bob Chapek revealed the design of the ride vehicle of the upcoming Guardians of the Galaxy attraction at Epcot which he referred to as Disney’s first “storytelling coaster.” From what I recall he specifically said the ride would be opening in 2021 as opposed to by 2021. 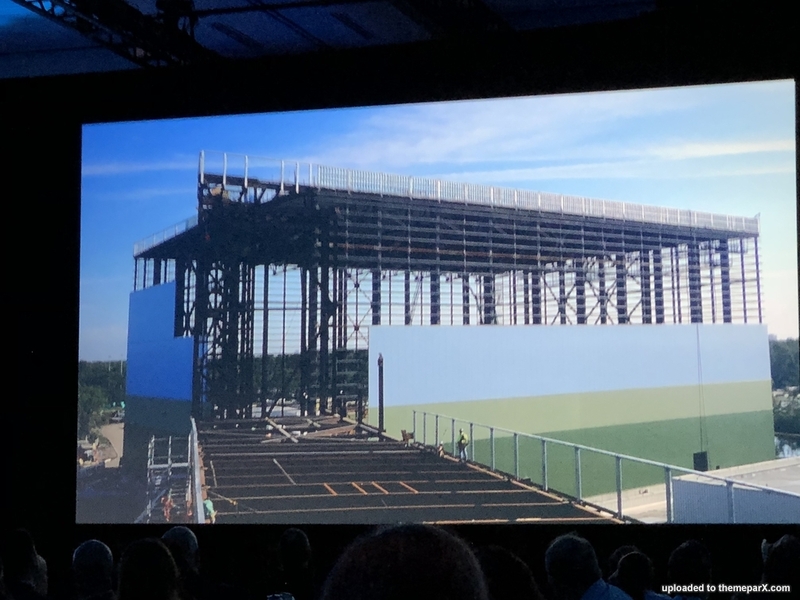 In addition Bob announced that the Disney Skyliner transportation system would be opening in Fall 2019. 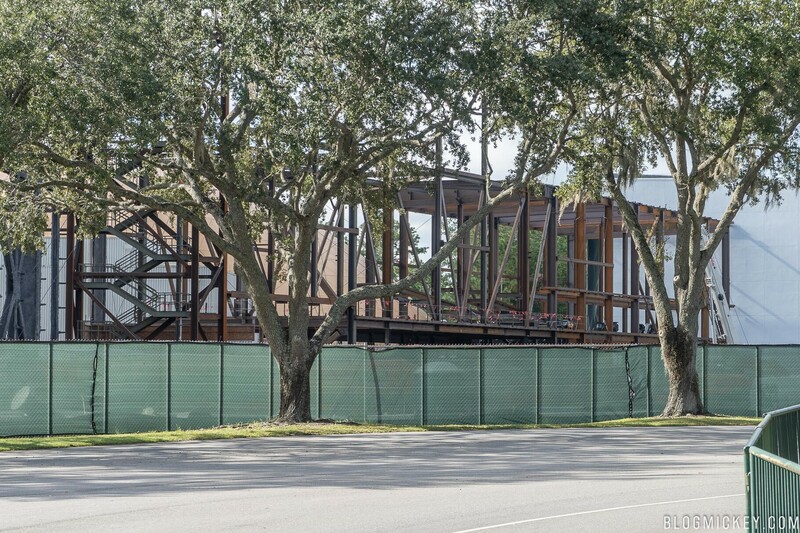 Here is an update construction tour of the Guardians of the Galaxy coaster going into Walt Disney World's Epcot. 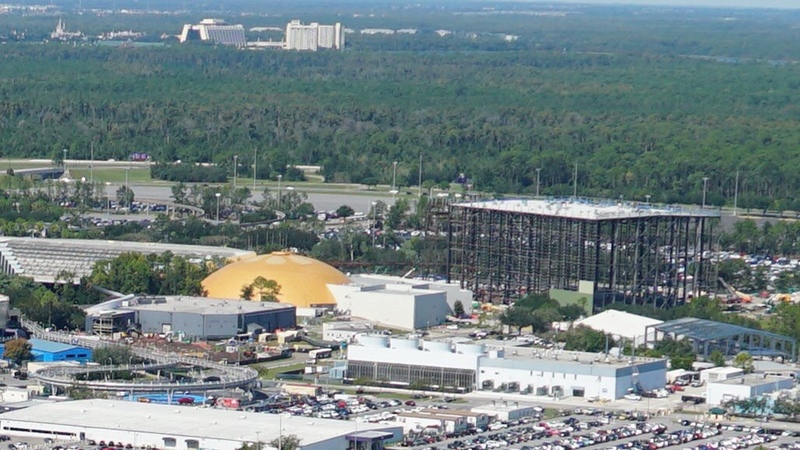 View from the monorail of the other ride building for Guardians of the Galaxy. 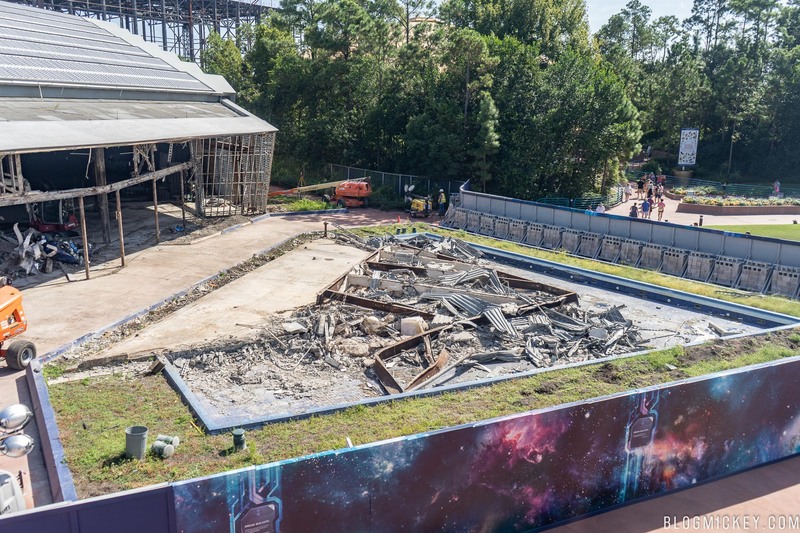 Guardians of the Galaxy update from November 3rd. 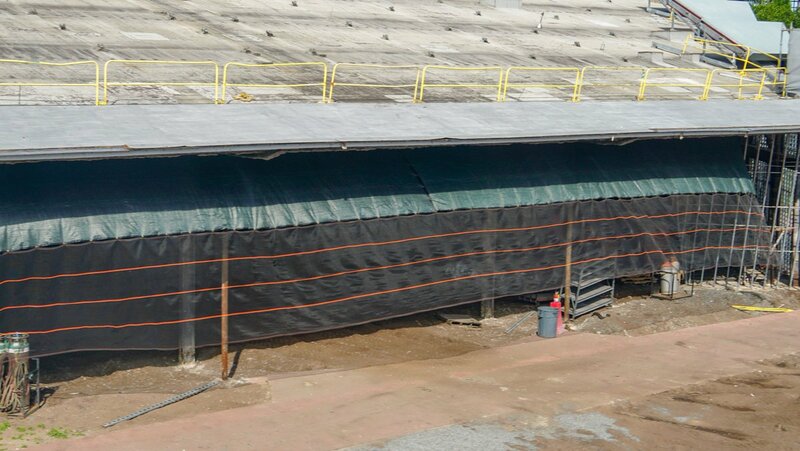 the wall is painted “go away green”, a popular color at Disney Parks meant to be as unobtrusive as possible. 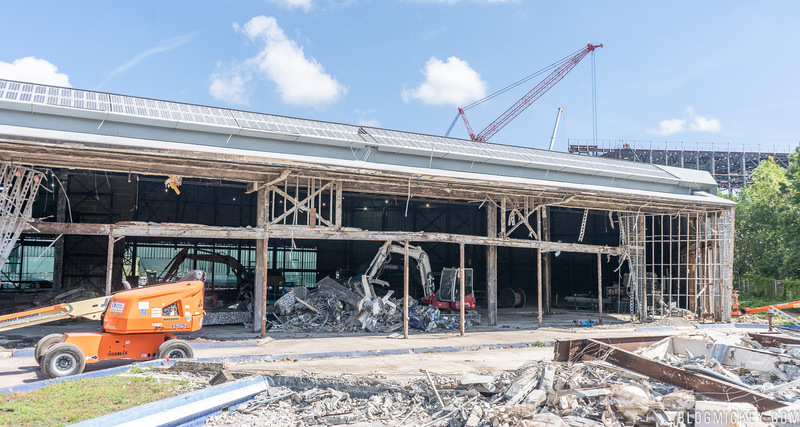 At this point, it looks like we can expect a big green box looming over the Epcot parking lot for decades to come. 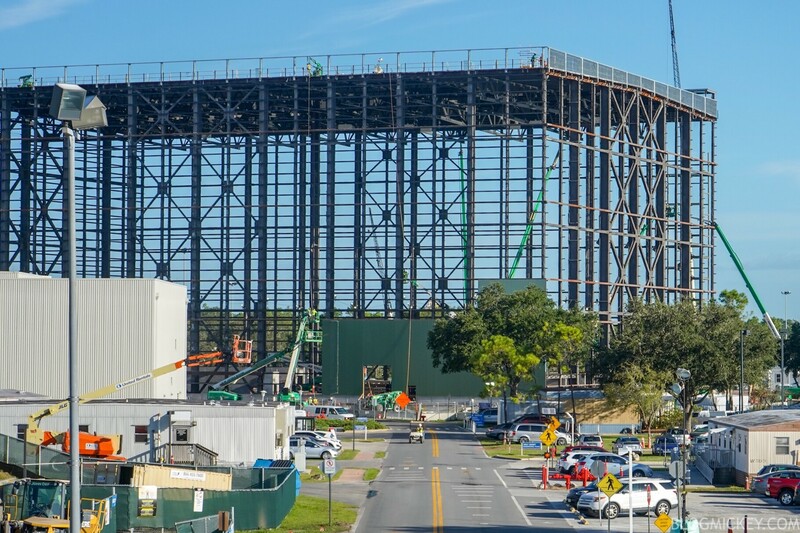 Also visible from the parking lot is the launch and return tunnel that connects the newly constructed gravity building and the backside of the gutted Universe of Energy structure. 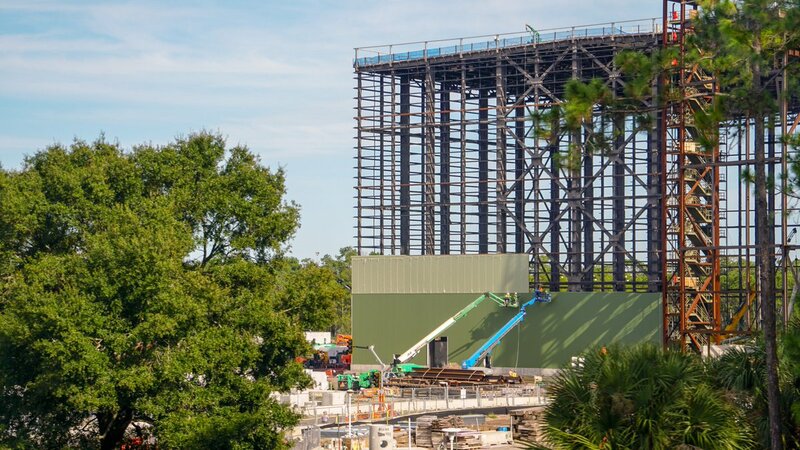 Here is the latest update on the Guardians coaster. More steel has went up on the main coaster building and the connector structure has most of its steel in place. 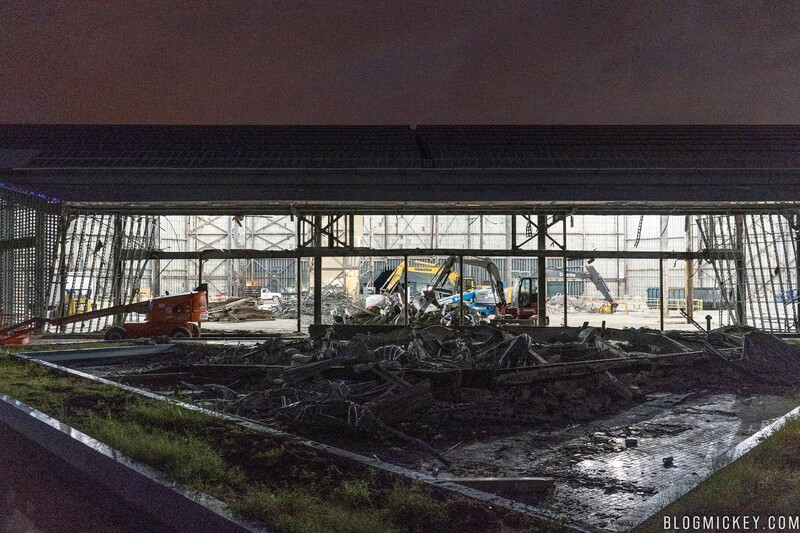 The old Universe of Energy buildings continues to be gutted and turned into a shell. 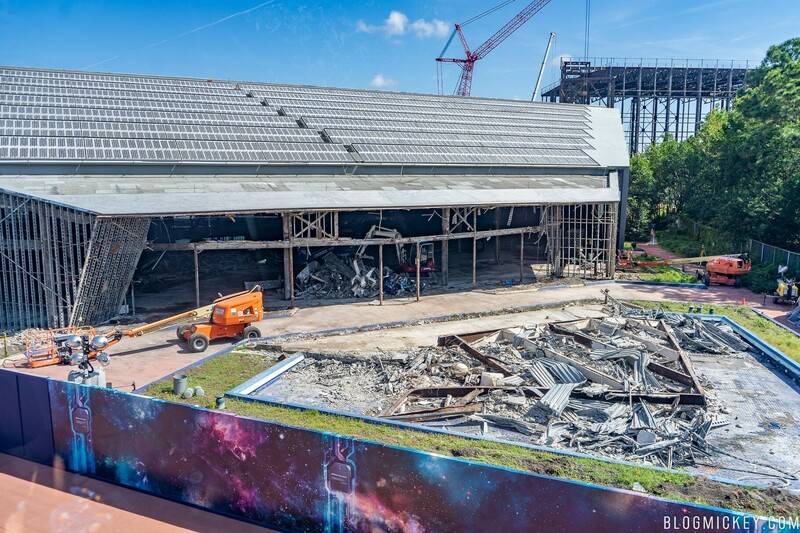 Here is the completed gutted Universe of Energy Building that will become the queue line and station for the new Guardians of the Galaxy roller coaster. 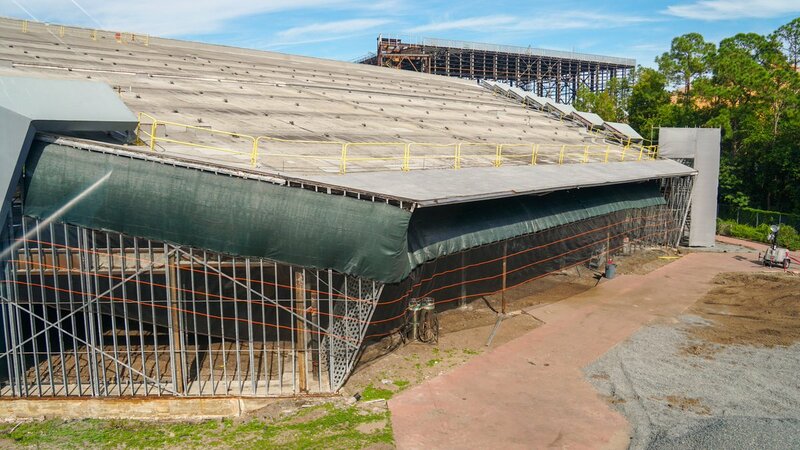 Along with the new building, this coaster is going to have a huge footprint. 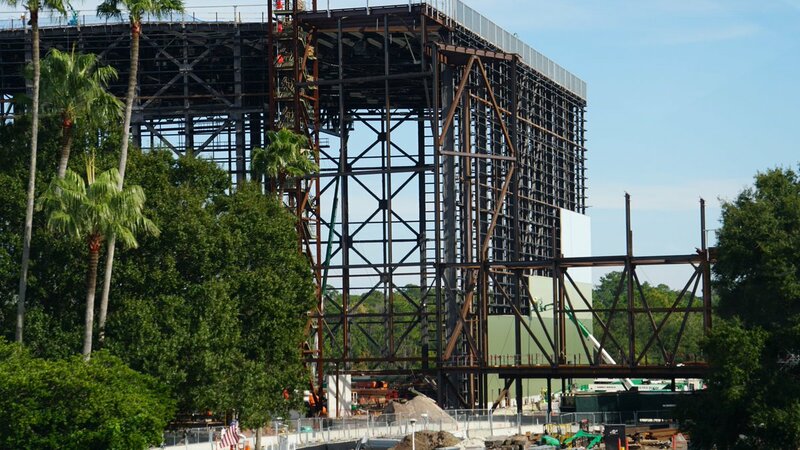 If the plans for Epcot’s India pavilion come to fruition, it will be anchored by a massive E-Ticket attraction: a boat ride based on the 2016 hit live action film, The Jungle Book, directed by Jon Favreau. 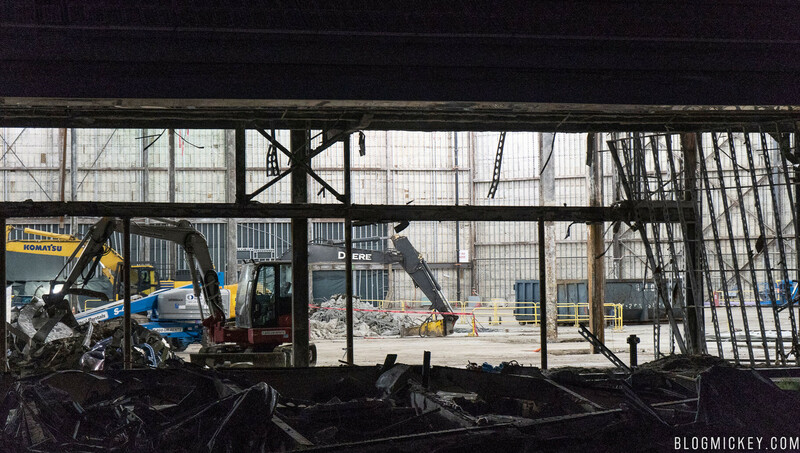 The boat ride would utilize the revolutionary ride system from Pirates of the Caribbean: Battle for the Sunken Treasure at Shanghai Disneyland. This ride features boats with a motion base, allowing vehicles to rock and spin in the water along their path. 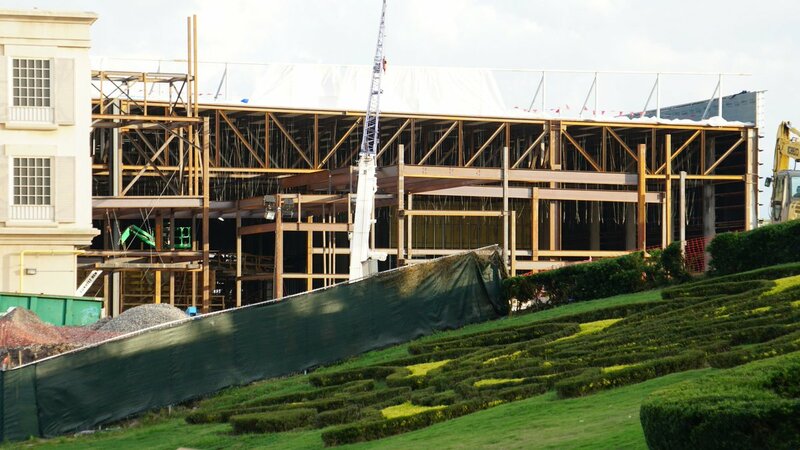 This would be a massive attraction, just as the Shanghai Pirates ride is the largest in that park.